The Laura Ashley tea room, is a somber and charming little venue, which allows you to indulge in the Great British pass-time of tea drinking with delight. Once welcomed into the reception, visitors are quickly seated in the neat and tidy all-white open pan space. At their table, they can expect to find clean and fresh linen, with a hand-picked floral centre piece, made to contrast with the tea room’s gardenia wall print. The high-hanging chandeliers, cast a warm and welcoming glow over the seating area, which draw your attention to the tea room’s tasteful wall hangings and décor. Visitors are made to feel at ease by the classical piano music playing whilst they take their seats and read over their menus. The waiting staff are keen and eager to serve, greeting you with a smile. Everything on your menu will be explained by the knowledgeable and courteous waiters and waitresses. If you have any dietary requirements, vegetarian, vegan and gluten-free options can be readily made by the tea-room’s expert in-house Chef. All guests also receive a complimentary appetizer, which is Laura Ashley’s ‘Soup of the Day.’ During the beginning of February, this is a thick and richly seasoned tomato and basil broth, freshly heated to warm up guests during the cold winter season. 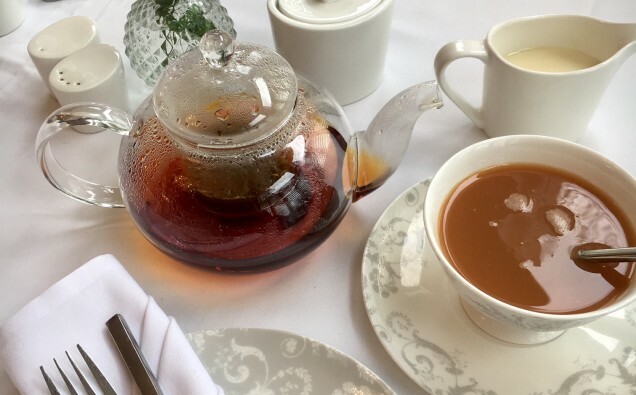 As afternoon tea is brought out to the guests in sophisticated glass tea-pots, they can expect an entrée of delicious delicacies to accompany their warm beverages. This includes; scrumptious savoury and raisin baked scones with fresh clotted cream and jam. Also served are brown and white bread finger sandwiches with creamy coleslaw, water cress, shallot chutney and roasted vegetables. For dessert, an enticing and mouth-watering selection is on offer; from double-chocolate cake, to banana cake and sugar-dusted Victoria sponge. Macarons and local strawberry preserve are also available to indulge your taste buds. Whether you want your brew with a slice of lemon or a tall glass of Prosecco on the side, Laura Ashley is the perfect place to suit all of your tea-time needs. 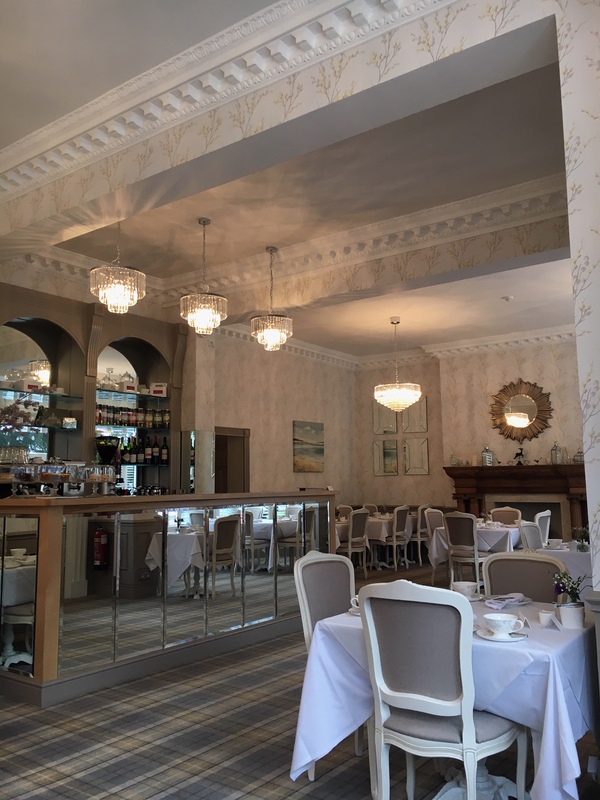 Whether you want to take your loved ones out for a treat or share a romantic evening with that special someone, this eligible and upper-class tea-room is not a place on your list to be missed!